Powder coating services. 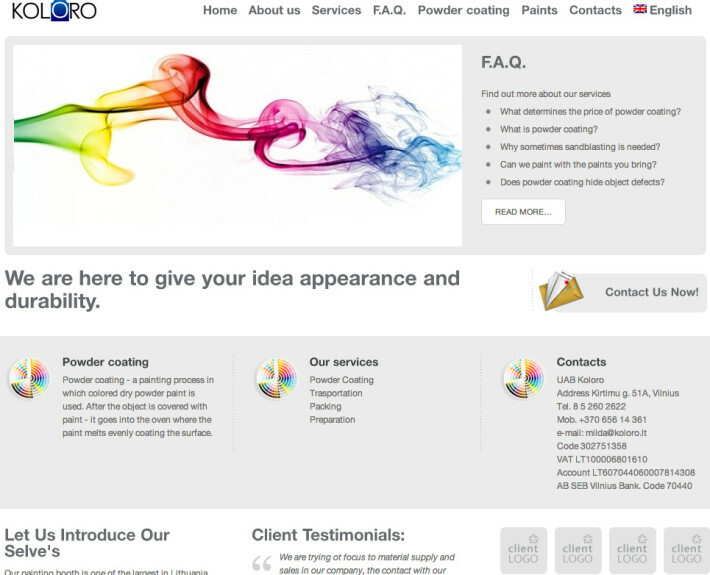 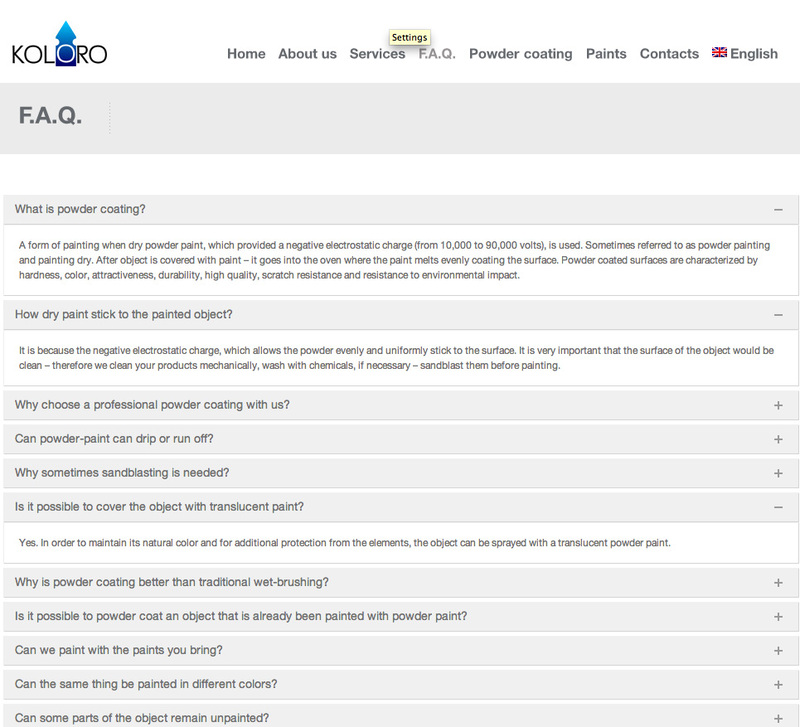 Our team created informational and representational website for powder coating company. 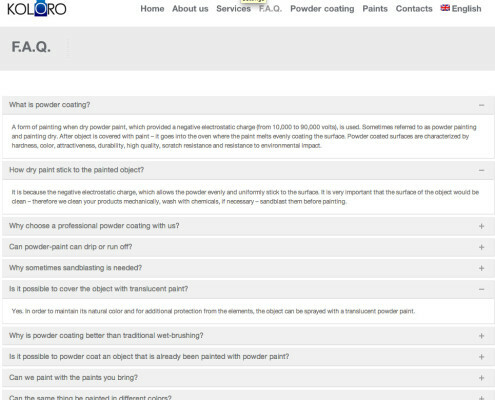 RAL colour selection palette was integrated to provide easy colour selection online. 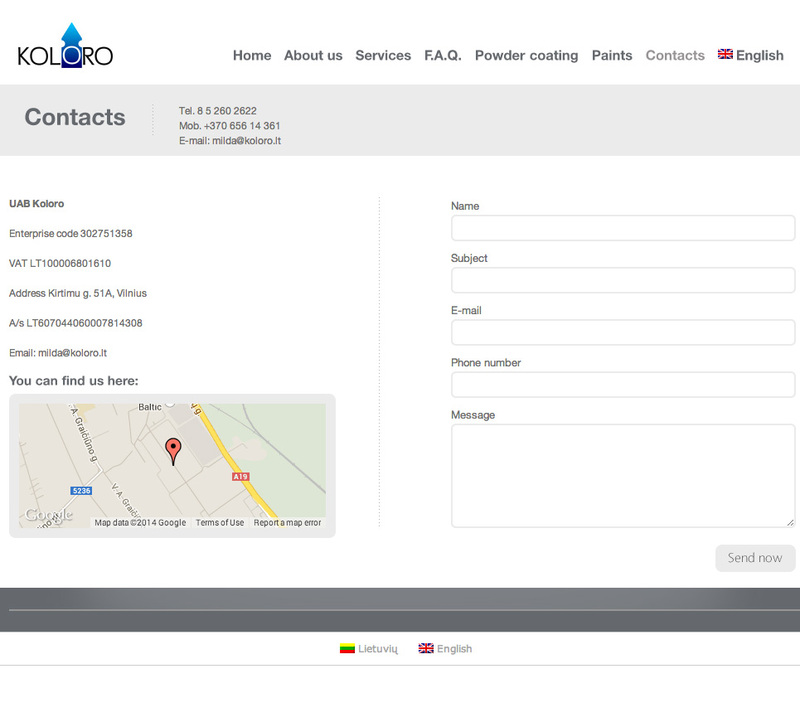 Main task: TERAcorp has received a task to create informational multilingual website to represent company online. 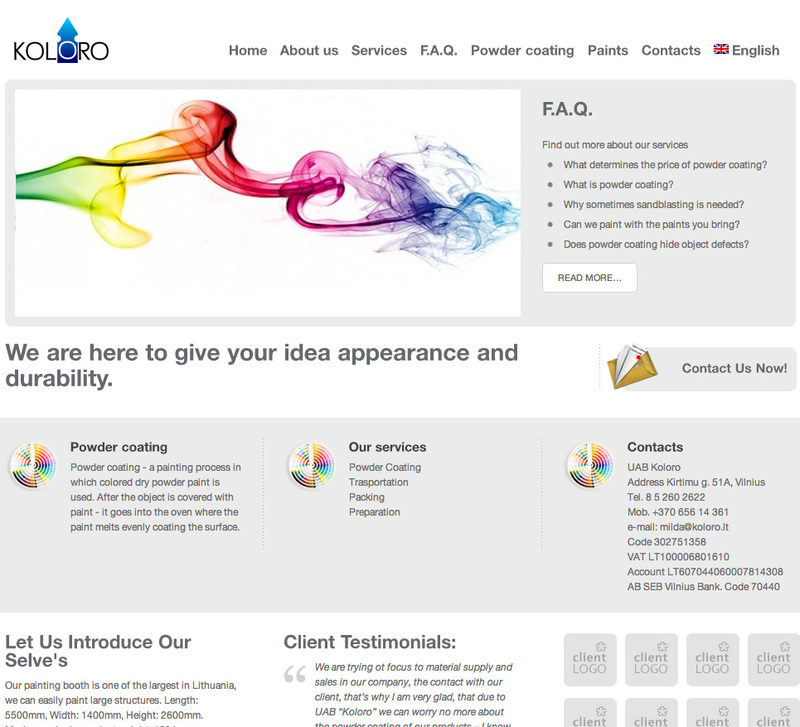 Additional task: create online RAL colour selection palette. 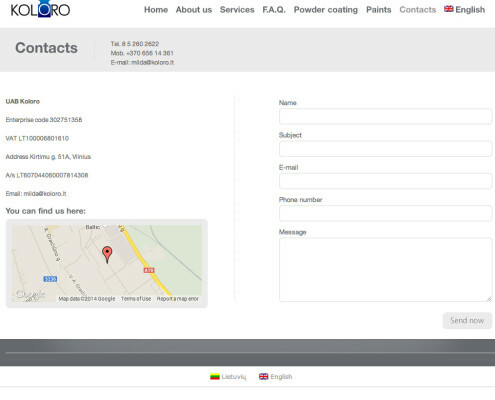 Integrate Google Adwords services.